The choice of music for a funeral is always a very personal matter, but there is something universal in the balance of beauty and tragedy that can be drawn from the strings of a solo violin. Whether it be a favourite song or melody of the deceased’s, a traditional tune from a place that was close to their heart, or the simple lines of a favourite hymn, a solo violin will make the point with elegance and subtlety. 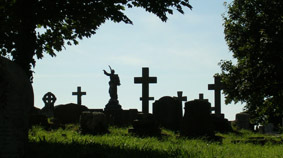 At the head of the procession, in the chapel, or at the graveside, the plaintive strains will create a suitable space for contemplation and remembrance. 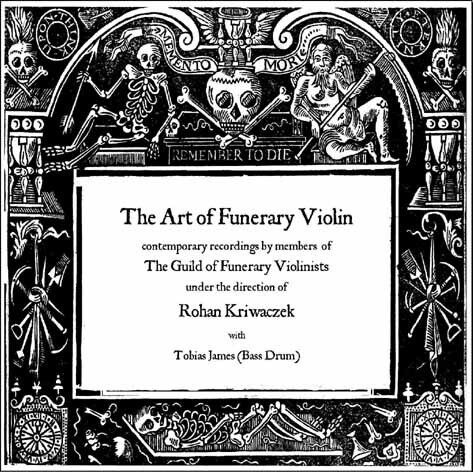 Long regarded as England’s foremost authority on the history and practice of Funerary Violin, Rohan Kriwaczek graduated first from the University of Sussex in 1972, and then from the Royal Academy of Music in 1974 with an Advanced Diploma in violin performance. Following a number of successful tours of Britain and Europe as a violinist, he became involved with the Guild of Funerary Violinists in 1975, and after much active scholarship researching their archives, was elected Acting Secretary in 1982, and then Acting President in 2000. Over the last 30 years he has dedicated his academic life entirely to the fervent study and recreation of the lost history of Funerary Violin, presenting lectures and workshops all around Europe, and writing a number of books on the subject, recognised today as the standard works for all students of Funerary Violin. As a Funerary Violinist himself, he was instrumental in establishing concert series in cemeteries in a number of major European cities and has been given many honours, including the Lifetime Achievement Award from the International Federation of Funeral Directors (2004). He has, over the years, held many posts at Universities and Colleges, but, since 1999 has dedicated himself exclusively to the promotion, study, and performance of Funerary Violin, and his official duties as Acting President of the Guild of Funerary Violinists. Rohan Kriwaczek is available to perform at funerals over the South East of England. To enquire about bookings or to receive a quote please contact bookings@guildoffuneraryviolinists.org.uk for a prompt response. 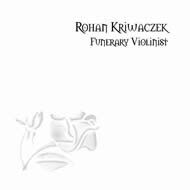 The CD Rohan Kriwaczek - Funerary Violinist offers a tasteful selection of solo violin music that might be deemed appropriate for funerary performance. Ranging from simple folk tunes, to classical works and, of course, works from the Funerary Violin repertoire, this CD clearly demonstrates the musical and spiritual advantages offered by the choice of a Funerary Violinist. The Art of Funerary Violin presents a selection of works from the great masters of Funerary Violin dating all the way back to George Babcotte's monumental Dirge, performed in 1586 for the funeral of Sir Philip Sydney. It includes works by Addleston, Meunier, Gratchenfleiss, Sudbury, Duibuisson and Eaton, covering the entire period when the Art was at the very centre of funerary ritual. The music is performed by members of the Guild of Funerary Violinists, under the direction of Rohan Kriwaczek, and is occassionally accompanied by Tobias James on bass drum.